An Islamist Orange employee provided a terrorist group in France with a list of names, addresses and cellular and landline telephone numbers of personalities, including prominent French politicians such as Nicolas Sarkozy and Roselyne Bachelot, French Newspaper Le Figaro reported on Monday 06/08/2015. The revelation that the Orange employee dubbed “Dawoud” provided the leader of Forsane Alizza with the list of potential targets came as members of the group were put on trial after being arrested in 2012. “Thanks to a ‘Dawoud’, an acquaintance working for Orange, Mohamed Achamlane, the self-proclaimed ’emir’ of Forsane Alizza, also received a ‘small gift,’ specifically a list of names, addresses, landline and mobile telephone numbers of political personalities such as Nicolas Sarkozy, Roselyne Bachelot” and others, said the Le Figaro report. Forsane Alizza also obtained details of a prominent Jewish media figure, Eric Zemmour, who is a staunch anti-immigration commentator, and leading feminist organizer Silhem Hachbi, according to the report. Another target list compiled by the Islamists contained the names of ten Jewish stores, five of which belonged to the Jewish Hyper Cacher chain. The group had also obtained an English-language manual on how to build a nuclear bomb, according to the British Telegraph. 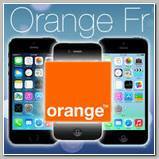 The revelations compound issues facing Orange as its CEO caused a scandal with comments he made in Egypt regarding the company’s business in Israel. They also highlight how far Islamists and their sympathizers reach in France, or elsewhere in Europe, according to the report.